With over 215,000 hulls built since it was first conceived and active class associations in over 120 countries around the world, the Laser continues to serve as the boat of choice for single handed sailing competition. At just about every club where people are racing sailboats, you will likely find the Laser. And with so many people sailing Lasers, you can find good competition almost anywhere you go. Because of the strict one-design emphasis of the class, it is certainly among the purest forms of sailing competition available, where it is the skill of the sailor, and not the equipment, that will determine the winner. These two features work together to help sustain the universality and excellence of the Laser Class. So if you are looking for competition, the Laser will deliver. And if you want to be the best, you will need to sail against the best. And there is a good chance you will find them sailing in a Laser. How widespread is Laser sailing at the highest levels? When taking into account all the events where sailors could qualify their country for the 2016 Olympic games in sailing, 94 different countries had athletes participate across the whole spectrum of Olympic class boats. 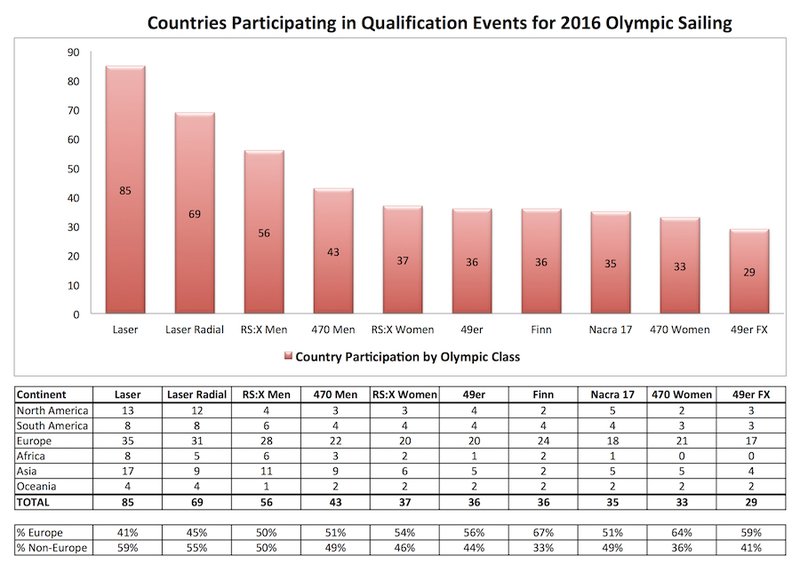 Of those countries, 85 were represented in the Laser Standard Men’s qualification process and 69 countries participated in the Radial Women’s qualification process, making these the two most universal classes among the 10 Olympic class boats for the 2016 games. In fact, the Laser Radial represents almost twice as many countries as any other female Olympic class.